If you send holiday cards each year I’ve gathered up some unique Christmas card ideas today to really impress friends and family! When I was a kid my mom would type (yes, as in on a typewriter) a little blurb on what our family had been up to all year and send it out with the holiday cards. I remember thinking how time consuming it seemed each year but after she passed away of Alzheimer’s Disease in 2011 I rediscovered some of these family updates in her things and was taken aback. I had forgotten about them and loved re-reading these snapshots of our years growing up and the things she though were important enough to highlight to friends and family. Now I admit that for the bulk of our holiday cards we usually send pre-printed postcards, however over the years we have tried our hand at a number of handmade/DIY cards. Sometimes we make them for a special person or two, sometimes these end up being made for a my children’s school mates and sometimes I run out of the expensive printed cards and need something in a pinch! 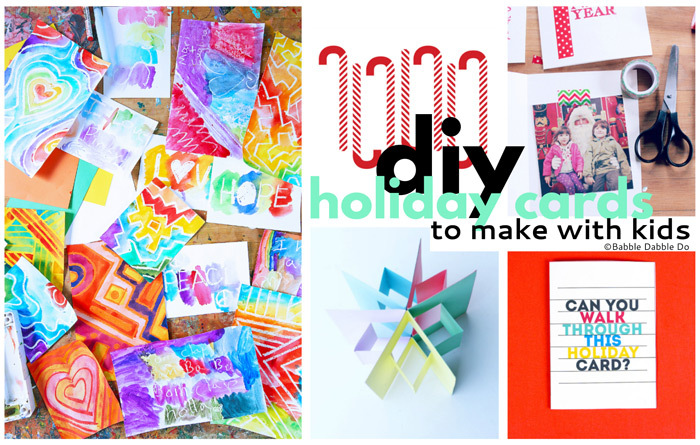 Whatever the reason you may have for making DIY holiday cards I’ve got a whole slew of ideas for you to try, ranging from the mass produced to the one and done, very special cards! Please note: Not all of these are cards…YET! I’ve included a few ideas that would make great card decorations! 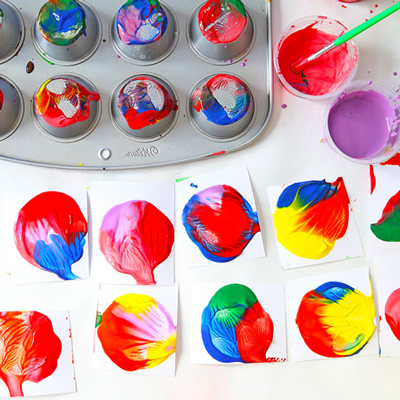 Quick and easy If you need a ton of cards in a hurry you have to try Muffin Tin Prints. Cut and fold card stock in advance or order some small blank cards like these. Kids will love making the prints and they look lovely once dried! Another easy to make idea are the Washi Tape Cards. Use layers of colorful washi tape to decorate bank cards for a super crafty and sweet look. Tape in a printed photo and you have a really special handmade card. Artful kid-made cards Magical appearing pictures would make pretty handmade cards. Again order blank cards in advance to watercolor over! 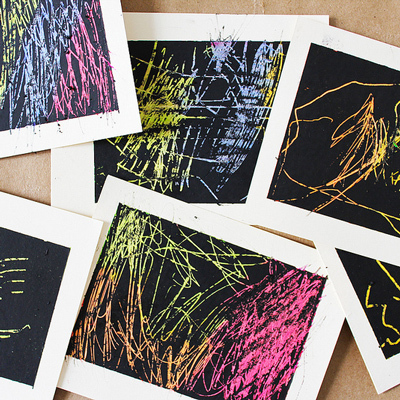 Another idea that is totally irresistible to all are scratch art cards! It would be fun to write a message underneath in crayon and then send these with a penny attached for the recipient to use to scratch off the top layer and read their message! Trick your friends For the jokers out there you have to check out our holiday optical illusions! You can print and download them here. 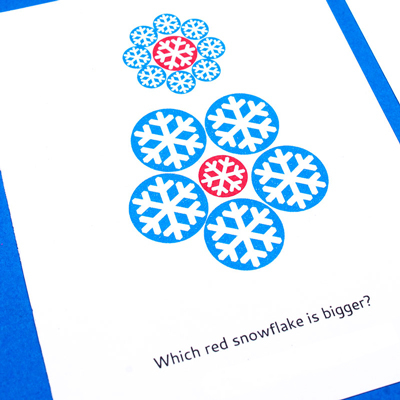 I have additional printable optical illusion cards in this Holiday Card Pack. Another absolutely fun card to give out is our Magic Holiday Card! Print and give to a teacher! Pop-Ups You can use the technique in our basic pop-up book to make pop-up cards! 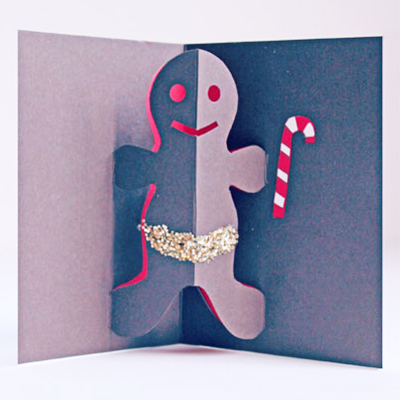 If you are looking to make a truly special card for someone our Pop-Up Gingerbread man is a fun one! 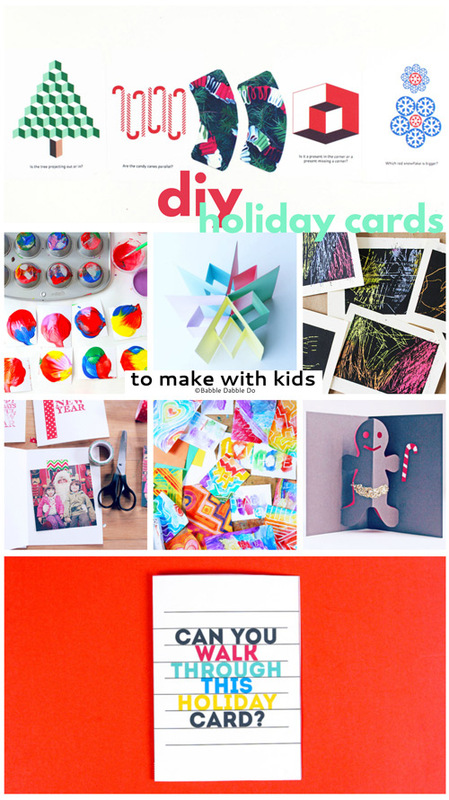 Printable holiday card and magic trick for kids! 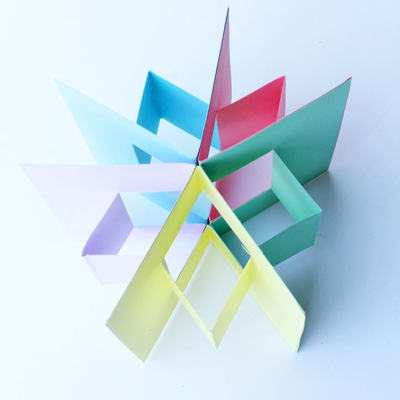 A simple pop up book tutorial that can be used for cards as well! A classic resist art technique with a hidden pictures twist! These would make lovely hand painted cards! This pop up cards tutorial includes a template for making your very own gingerbread man card to share with friends and family. 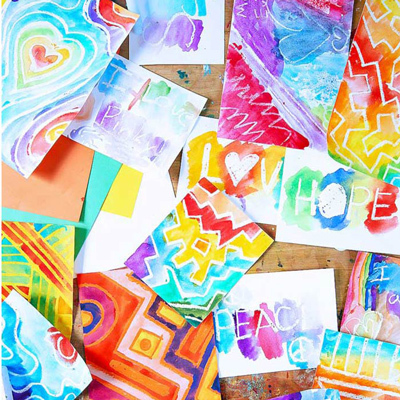 A process art project you can use to make tons of decorative cards FAST! 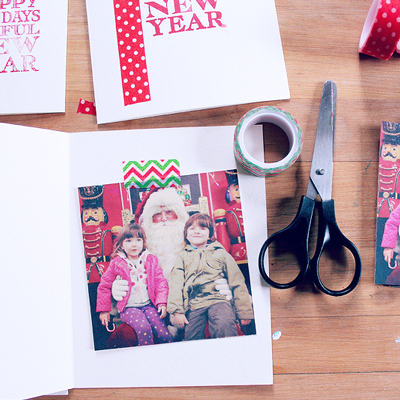 Make memorable and EASY homemade christmas cards using washi tape and a stamp! Amaze your friends with these 5 holiday themed optical illusions. Learn how to make your own DIY scratchboard for use in art projects, cards, and more! 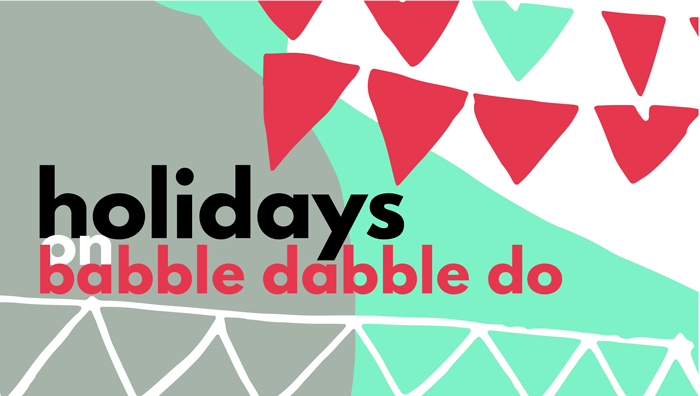 All week we are featuring holiday ideas here on Babble Dabble Do…check back tomorrow for our collection of Handmade Gift Ideas! See Monday’s Post with Clever DIY Ornaments to Make with Your Kids here, Tuesday’s post with Colorful Handmade Decorations for Families to Make here, and yesterday’s Holiday & Christmas Kids Activities post here.